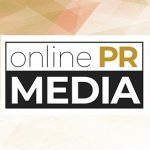 Online PR News – 15-April-2019 – Taipei, Taiwan – As Europe's largest economy, German economic data is closely monitored for signs of health of the rest of the Euro zone. Last week, data revealed that Germany's industrial production fell by more than expected in February; manufacturing orders also dropped. Another survey reported that new orders and exports were falling at the fastest pace in more than a decade. Such disappointing data has caused widespread concern for Germany's economy with some economists saying that Europe's biggest economy could be heading for a session. However, Royston Carr Asset Management analysts say that after a relatively short-lived boom, the German economy appears to be returning to a more moderate growth trend. Germany's employment remains solid and its unemployment rate is still one of the lowest worldwide. Factors influencing the economic slowdown throughout the Eurozone include uncertainty surrounding the outcome of Brexit and growing protectionism. The US - China trade war has impacted the global economy weakening exports and demand. The world's two biggest economies have yet to reach an agreement that will see an end to the bitter trade dispute.